Regarded as an exemplar of Christian teaching and wisdom for more than 400 years, the King James Version of the Bible contains some of the world’s most-beloved stories. This classic translation is widely regarded as one of the most important scholarly efforts of the Renaissance. 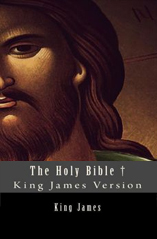 The King James Version (KJV) of the Bible, widely known throughout the English-speaking world, was commissioned in 1604 by King James of England and was first printed in 1611. The stories of early Judaism and Christianity are told by a variety of authors in both the Old and New Testaments. Classic accounts of Adam and Eve, Samson and Delilah, King David, and the Tower of Babylon are recounted in the Old Testament. The New Testament chronicles early Christianity. The books of the apostles recount Jesus’s life from birth to crucifixion. The many letters of the apostle Paul and the Revelation of John are also included in the New Testament.